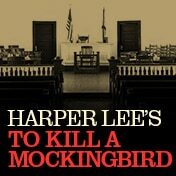 Please Note: There will be an Open Captioned Performance of To Kill a Mockingbird on Wednesday - February 6 @ 7pm. Located on the 2nd level, up 2 flights of stairs (34 steps). Please Note: On the Mezzanine or Balcony level, there are approximately 2 steps per row. Entrance to Mezzanine is behind row K.
Located on the 3rd level, up 3 flights of stairs (56 steps) from the Orchestra. Please Note: On the Mezzanine or Balcony level, there are approximately 2 steps per row. Entrance to Balcony is behind row J.